It's Black Friday eve, which means we're only a few short hours away from seeing the best deals and discounts retailers have on offer for the blockbuster sales this year. As always, Amazon will offer a mixture of all-day discounts and "Lightning Deals", which are only available for a brief window of time – or until the product sells out. Amazon says it'll be rolling-out new offers "as often as every five minutes", meaning those who want to ensure they get their hands on the latest deals will have to keep their eyes glued to the Black Friday homepage throughout the day. Thankfully there is a nifty trick to get the jump on the thousands of other bargain hunters desperate to nab a Black Friday deal on Amazon. The Seattle-based retailer offers those who pay for its Prime membership plan early access to its Lightning Deals – 30 minutes early, to be exact. That's a pretty hefty headstart on the other shoppers. Of course, Prime members won't only benefit from the 30-minute early access, they'll also be able to take advantage of Amazon's all-new ‘try before you buy’ service, dubbed Prime Wardrobe, which lets customers have clothes delivered at no extra cost to try them on at home, and only pay for the items they decide to keep. So, if you're looking to take full advantage of the Amazon Black Friday sales, you really need to ensure you're a Prime member. Fortunately, it doesn't take much time at all to sign-up the annual membership. And best of all, you're able to become a fully-fledged Prime member without spending a penny ahead of the Black Friday sales. Prime Membership usually costs £79 a year, or £7.99 a month in the UK, or $119 a year, $12.99 a month, in the United States. For that price, you'll get unlimited one-day delivery on all orders, access to Prime Video, Prime Reading library of novels and magazines, Prime Wardrobe "try before you buy" service, Prime Music, and access to order household essentials via Amazon Pantry. However, Amazon offers shoppers the chance to trial Prime membership service for 30 days – just enough time to take advantage of the benefits of being a Prime member during the blockbuster Black Friday sales period. 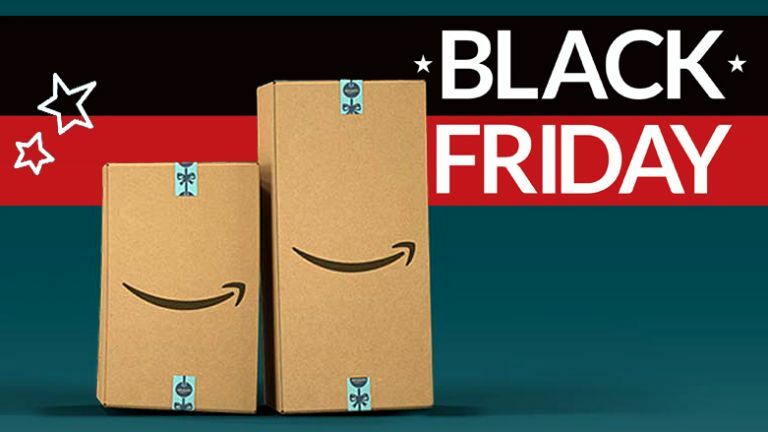 Not only will you get early access to the deals you're after, but you'll have a full month of free one-day Amazon deliveries, plus the chance to watch The Grand Tour, The Man In The High Castle, and other Prime video shows, as well as all the other benefits that members enjoy. If you're currently a student, you can benefit from a bumper six-month free Prime membership trial. After that, should you decide not to cancel, then Prime Student will cost you just £39 a year, or £3.99 a month. As always, you can cancel at any time during your free trial and you won't be charged a penny. Ready to grab your free trial? Hit the links below.